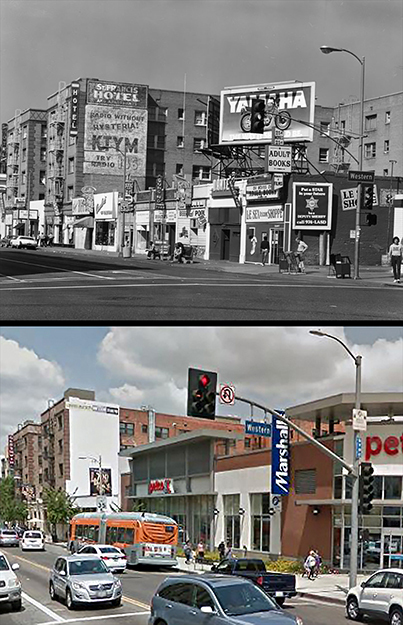 Then and Now: Hollywood Blvd. and Western Avenue. Top photo is from 1981.